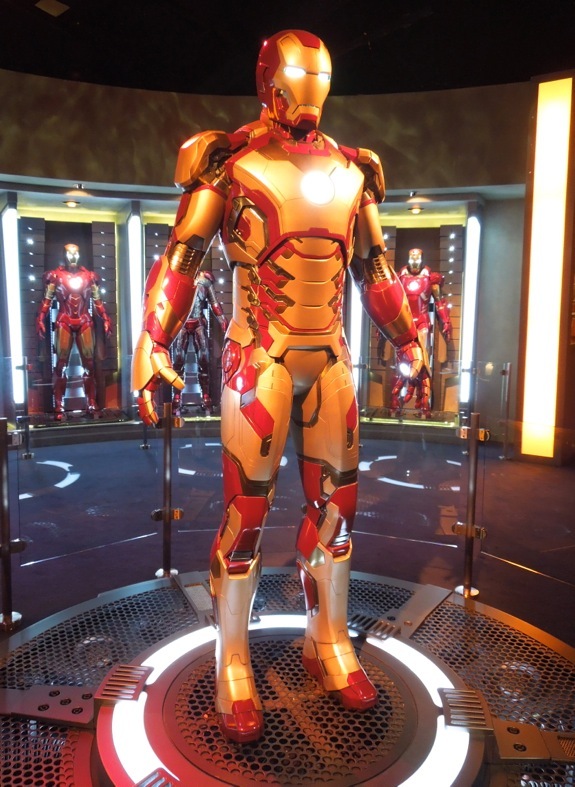 Iron Man 3 opens today in the U.S. so I couldn't resist sharing all eight of these spectacular suits from the Marvel movie in all their glory. 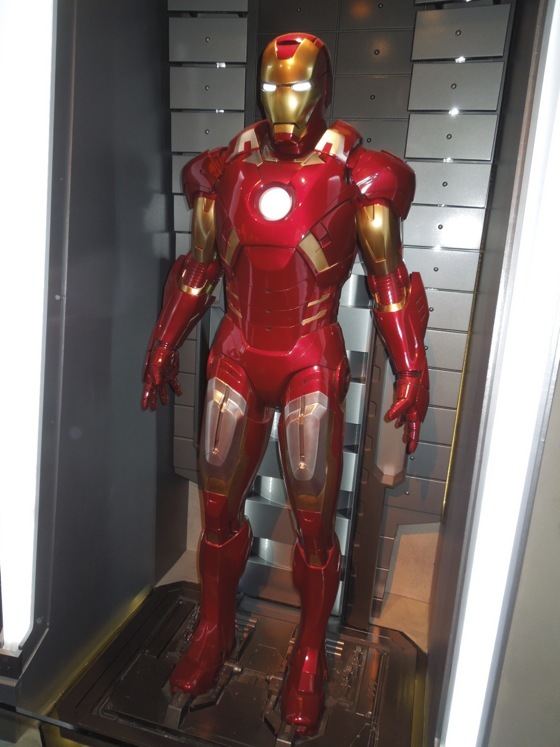 First up is Tony Stark's brand spanking new armour from his third solo big screen outing, which has far more gold than red. 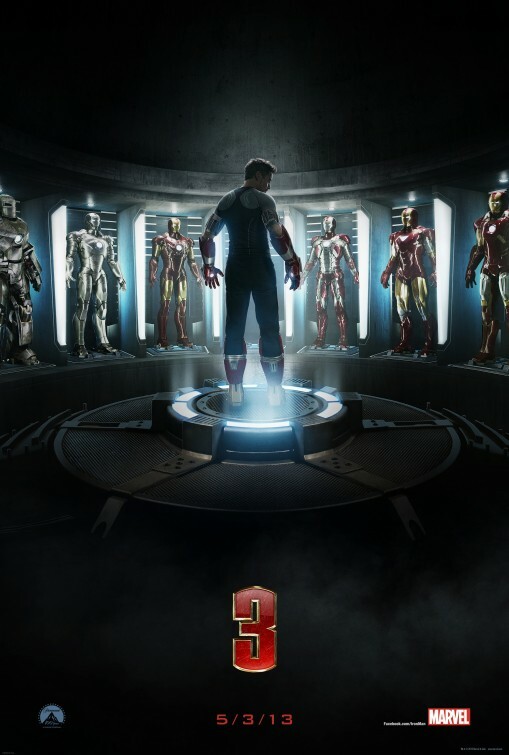 Next in descending order is his Mark VII suit from Marvel's The Avengers movie, where he teamed up with Captain America, Thor, Hulk, Hawkeye and Black Widow to defeat Loki's invading alien army. 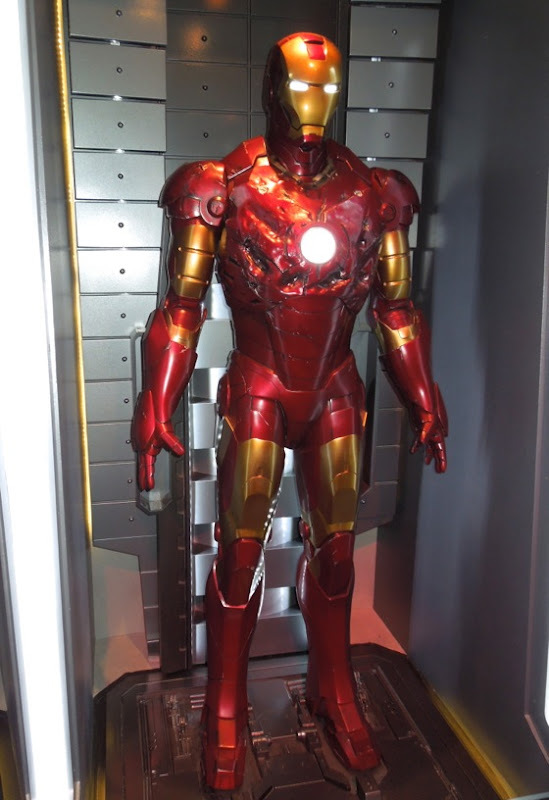 The Mark VI with its controversial triangular chest plate first appeared in the Iron Man 2 movie, and then it was destroyed at the start of The Avengers when Iron Man battled Thor. 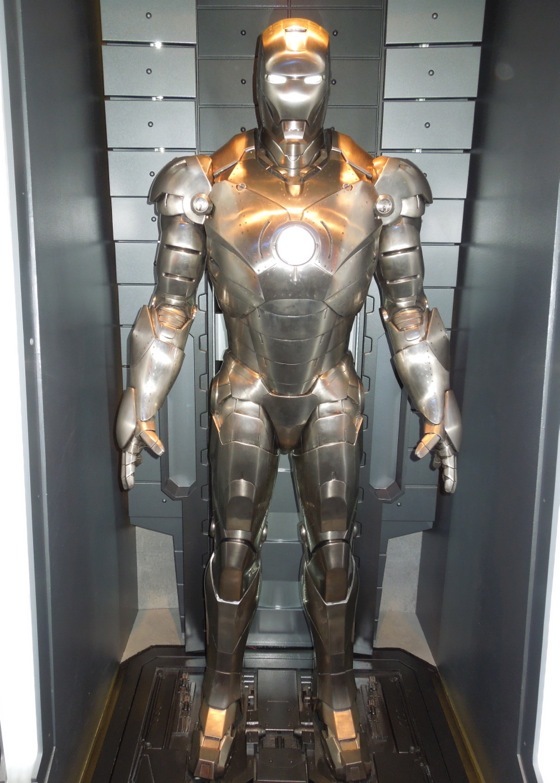 My personal favourite is the supercool briefcase suit that featured in Iron Man 2 on the racetrack in Monaco. 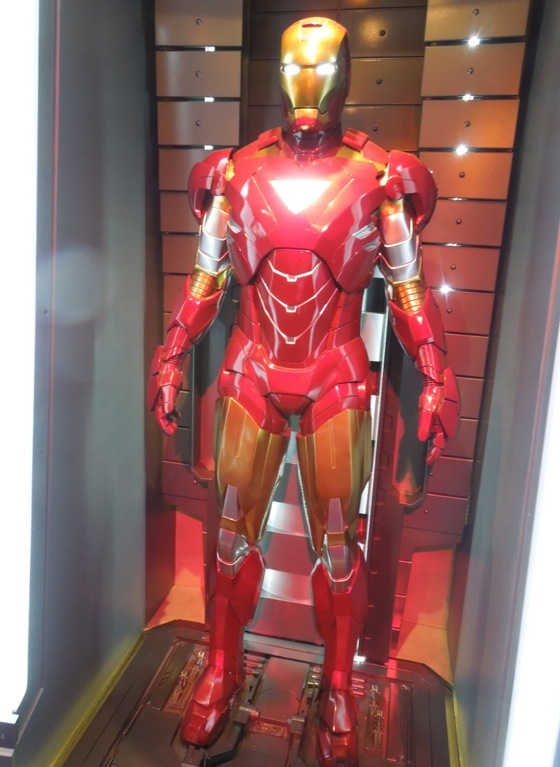 All these armours were photographed on display at the temporary Stark Industries Tech exhibit at Disney's Tomorrowland Innoventions attraction on April 17, 2013, to help promote the armoured Avenger's third solo movie. 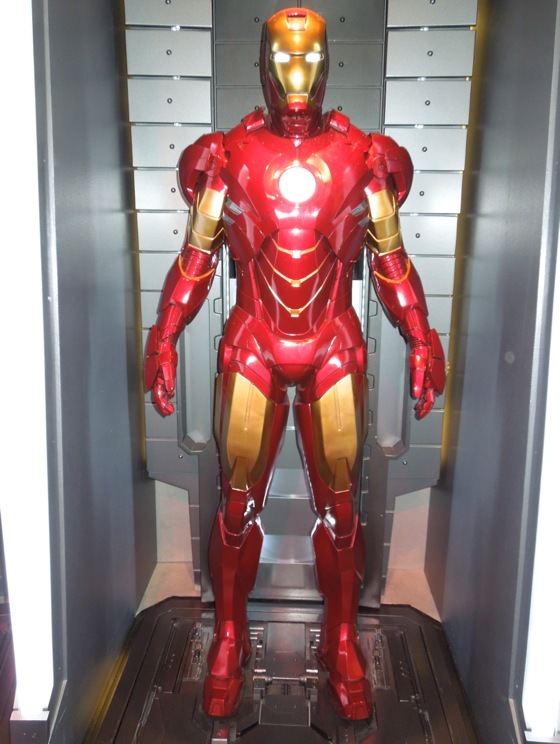 Tony Stark makes his entrance at the Stark Expo in Iron Man 2 in the Mark IV suit. 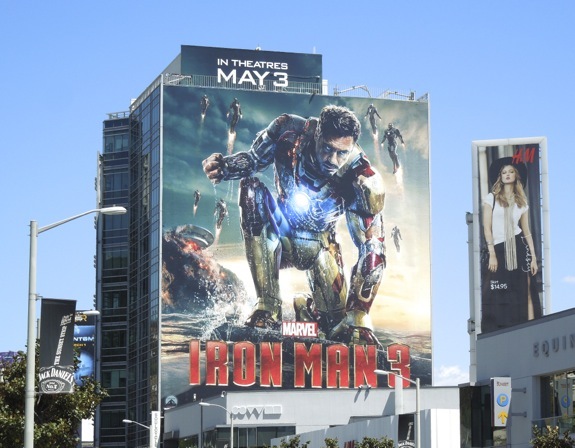 Meanwhile the Mark II and III designs both featured in the original 2008 Iron Man movie that started it all. 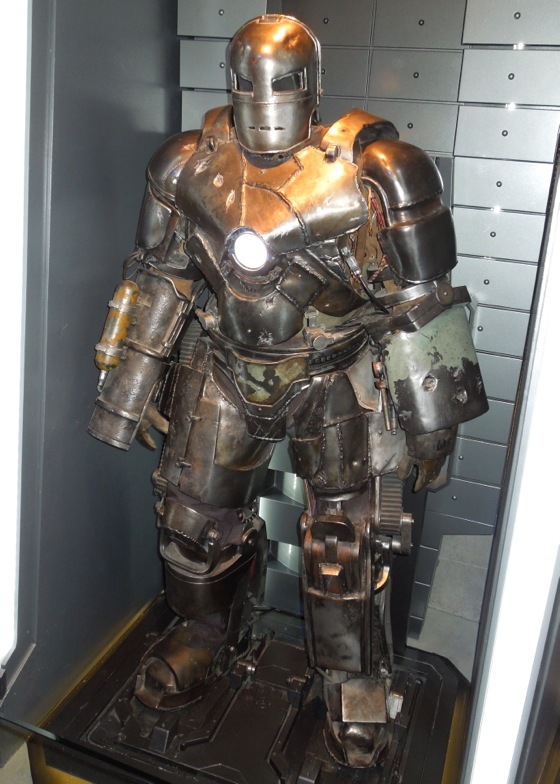 And who doesn't like the clunky classic looking Mark I armour that Tony and fellow prisoner 'Yinsen' build to help keep the shrapnel from reaching his heart and to escape their terrorist captors in his debut origin movie. Which suit is your favourite? Post a comment and let me know. 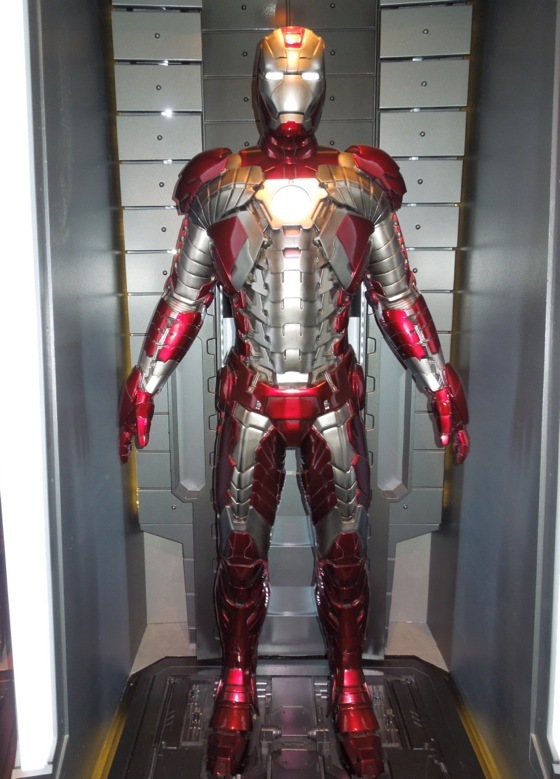 Be sure to check out each suit in more detail here at Hollywood Movie Costumes and Props.